On this page, we are going to show you, step by step, with screenshots and links, how to see the fraud before your very eyes. It all stems from your Birth Certificate Unique number. We have used mine as example, as always. Lets begin. Below, is the official UK.GOV page for HMRC Self Assessment Tax. It gives the people, bank account details for them to pay tax directly to the Government. 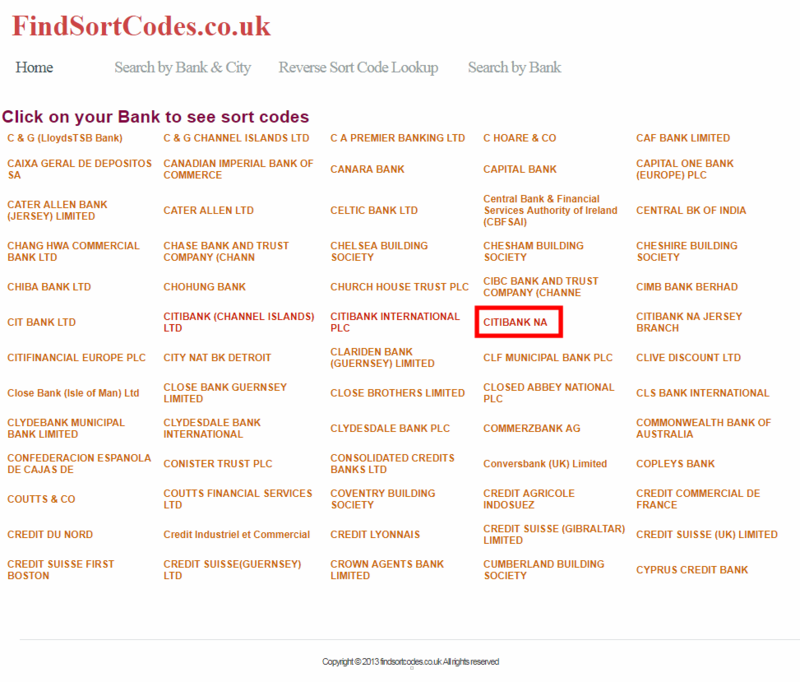 Note the bits we have highlighted in red, referring to their sort code and other banking details. 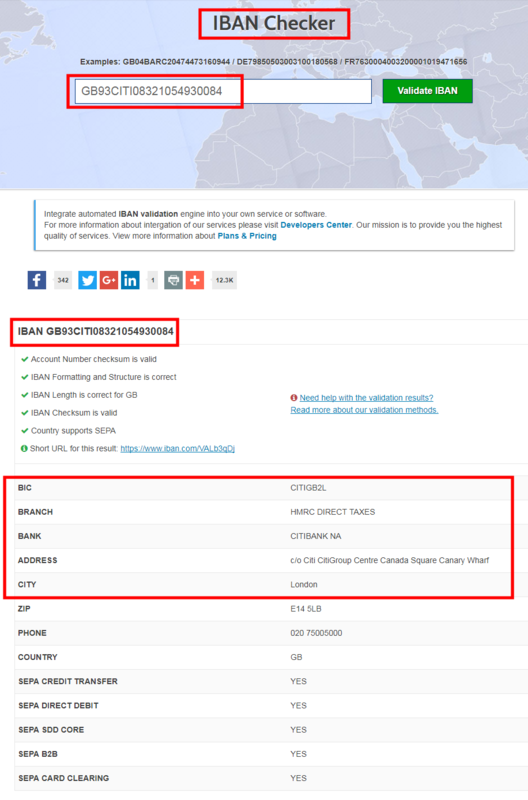 Also note, that they claim that the account is held with Barclays Bank PLC. This is very important and you will see why further down the page. This is where the fraud starts. 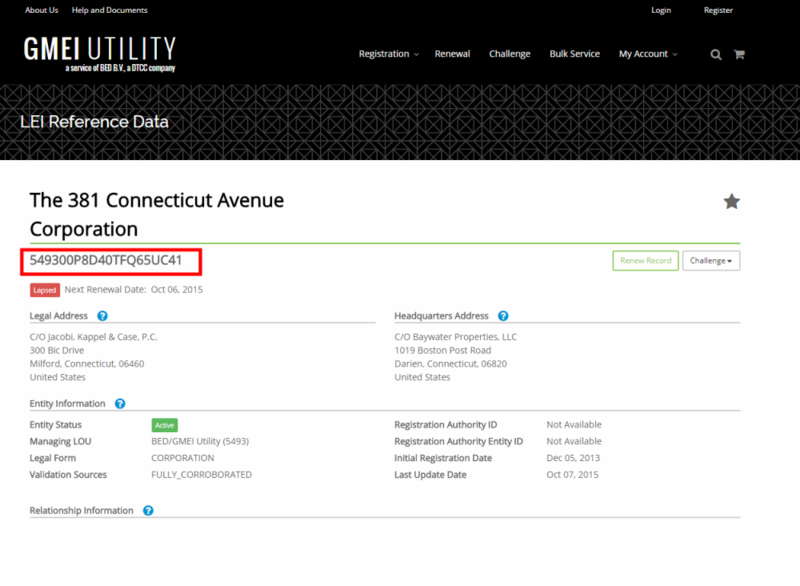 The next step is using your Birth Certificate Number (which is uniquely yours, as a real man or woman) and inputting it into the GMEI Utility tool. 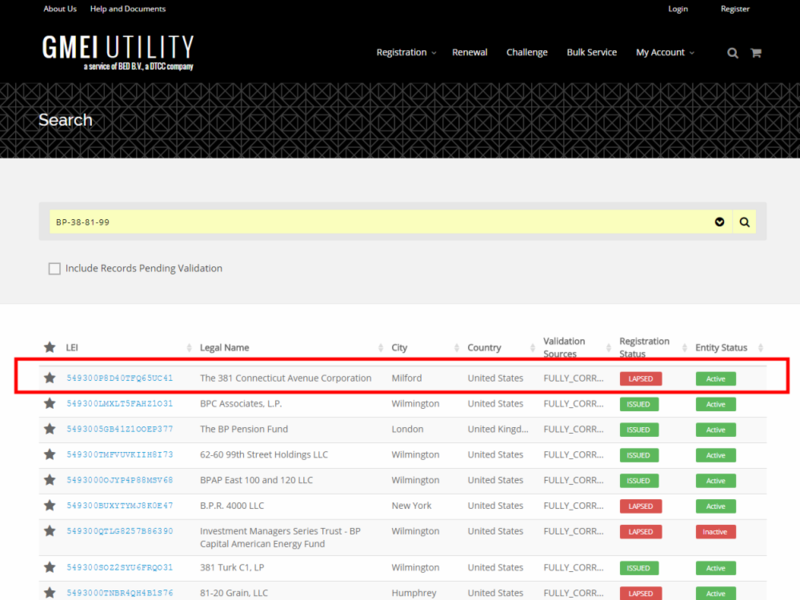 This shows actual people and corporations that are trading on you and using you as surety. So, as you can see in the search bar below, I have used my number as example. You will need to use "dash" (-) to separate the number as shown below. Then hit the search button to see the results. ​This is the results page for my Birth Certificate Number, as you can see, there is muliple different entities trading on me. I have used the first result in the list for this walk through. They all yield similar results and you would be there all year doing this for all of them. This is the page that opens up the first result that we clicked above, it shows lots of relevant infomation, but the main thing we want, is the LEI Ref, hilighted in red below. 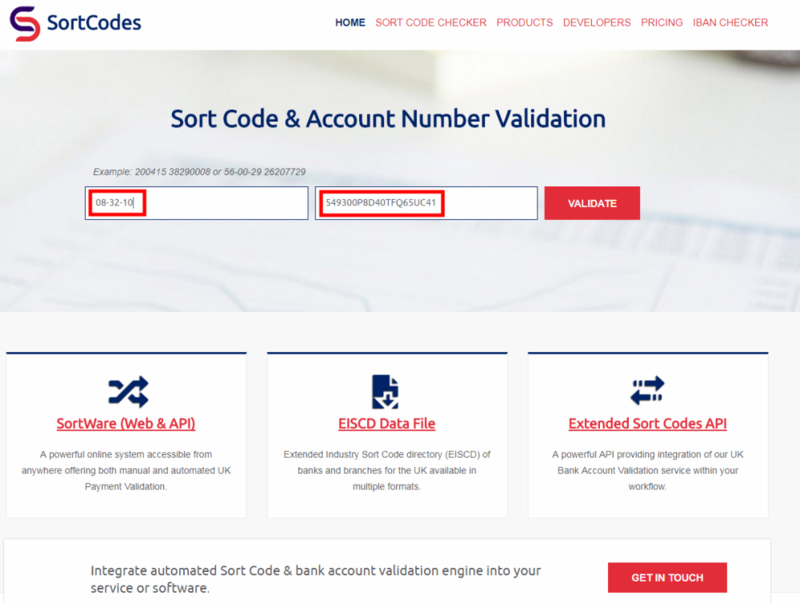 For this step, we go to a UK sort code and Account number validation service. 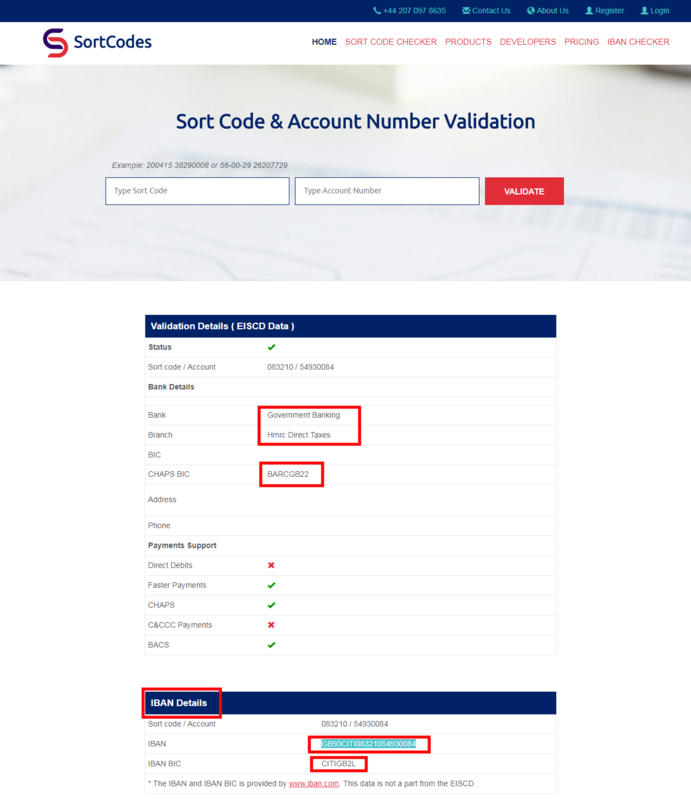 We take the LEI Ref from the previous page and input it into the "Account Number Box" and the Sort code is the HMRC Account: 08-32-10 as stated clearly on the GOV.UK website (See step 1 for link) When you have put the numbers is, click Validate and you will see the results below. 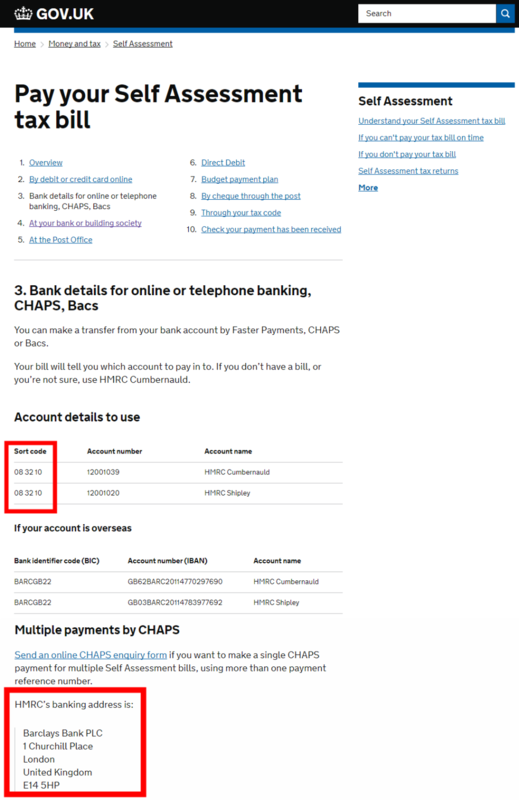 This is page shows the secret bank account HMRC have created for you via their 08-32-10 sort code and your Birth Cert Number. You can see the CHAPS/BIC/IBAN codes here. Note that one of the BIC codes relates to Barclays, which correlates to what they say on the official page (linked in step 1) But, there is also a BIC that relates to Citibank. This is alarming, for one it shows they are blatantly lying and giving false information to the public via the official Gov.UK website, and you must ask yourself, why would taxes UK citizens are paying to the Government, going to an American Financial Institution. Next, we use an IBAN Checking Service to verfiy the IBAN we got from step 6. Important to note is that it blatantly states this is a Citibank account and not Barclays. 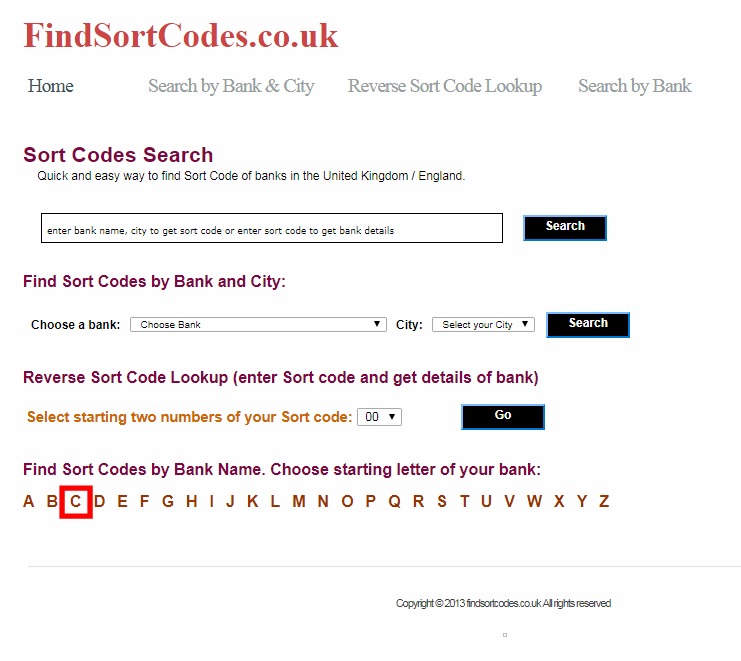 So, with the confusion over which bank actually holds the sorting code, we have referred to a UK Sort Code Directory for all banks operating on UK soil. You can look for yourself, link below. We will look for CITIBANK NA first. Note the red highlight which will show us all banks beginning with the letter "C". All banks beginning with the letter "C" trading in the UK. Just to be fair, we have also checked Barclays Bank PLC too. We are nice that way! The results speak for themselves as does the material evidence. 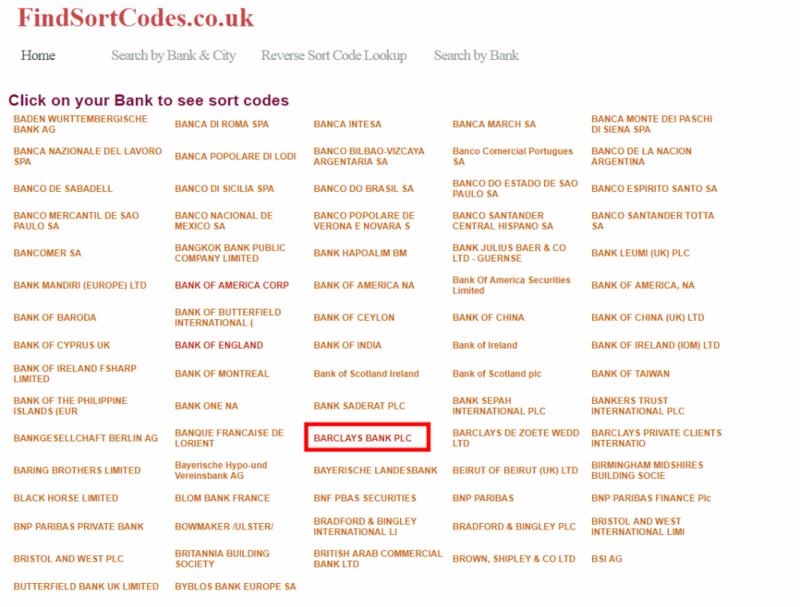 The sortcode: 08-32-10, which the GOV.UK HMRC page states is Barclays Bank PLC, is nowhere to be found on the list of sort codes related to Barclays in the UK. Oh dear. Below is the first page of 45 pages of sortcodes that relate to Barclays Bank PLC. 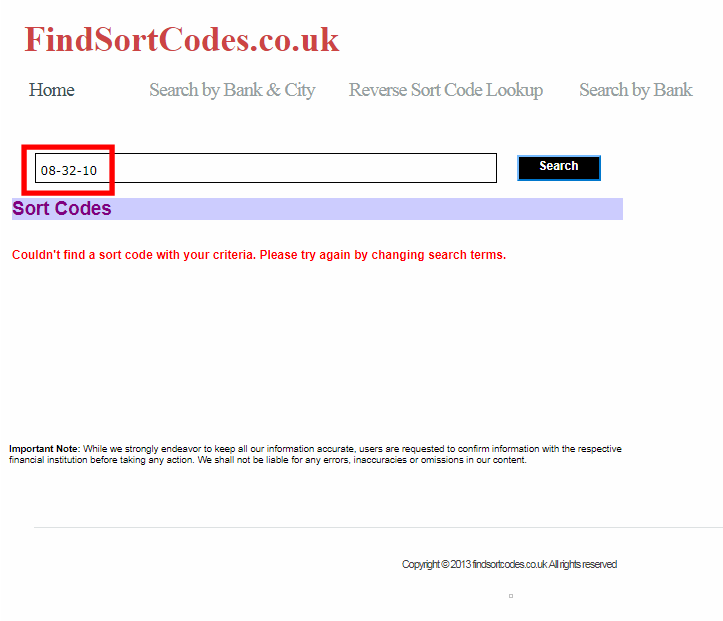 We have been through every single page and the HMRC's 08-32-10 sortcode, is not listed. Link below if you would like to check for yourselves. To leave no stone unturned, we did a global search of the site for HMRC's elusive sort code. Result: There is non. 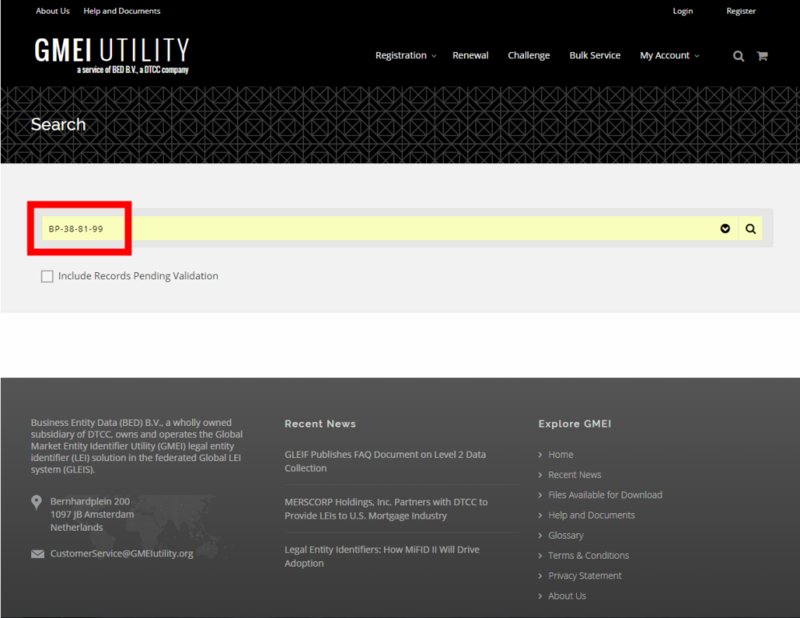 The question you should be asking, is why HMRC are blatantly lying to us on their own GOV.UK page. This is all down to the Birth Certificate. Which is a unique sorting code and access point to your Babylon Trust via the Vatican. The following will verify that HMRC's unique banking codes are linked to and trading from my Birth Certificate Number and can be seen as bonds on the Treasury Direct System. Last step. 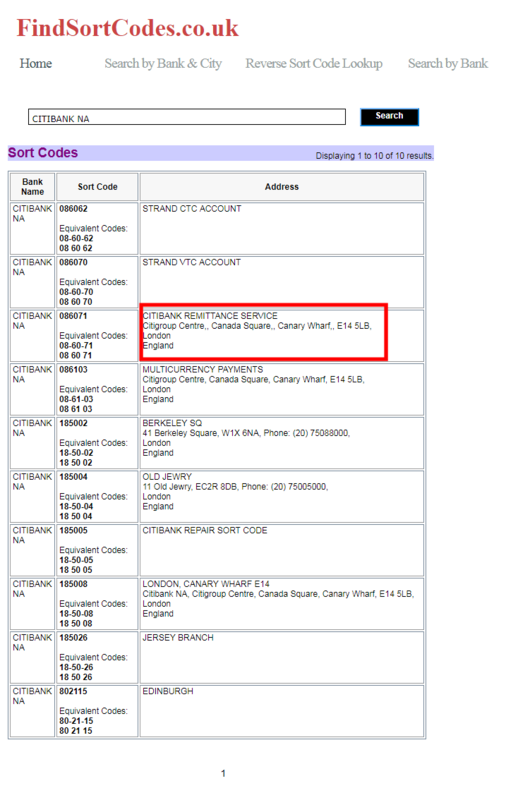 So, as you can see I have inputted my Birth Certificate Number, the two official HMRC account number as listed on the GOV.UK site (see Step 1 for link) and the Citibank and Barclays BIC codes. They are all there. Plain as day. 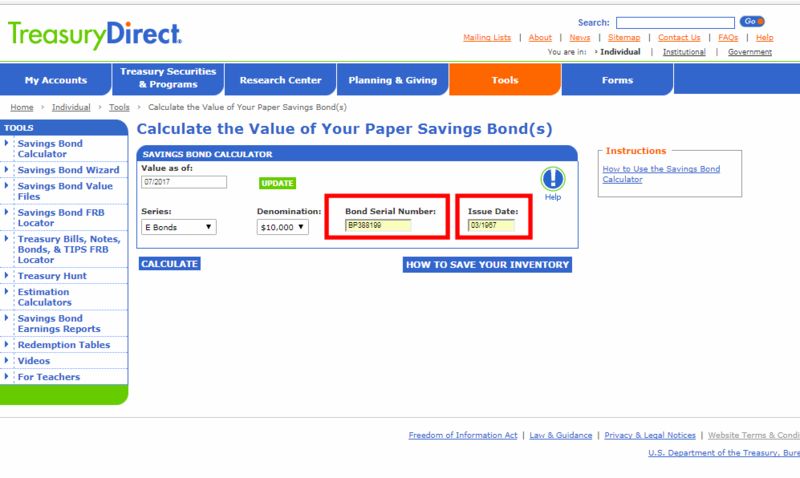 If you were born before 1980, you need to change the "Series" dropdown from "EE" to "E" bonds. This is because E bonds run from 05/1952 to 06/1980. 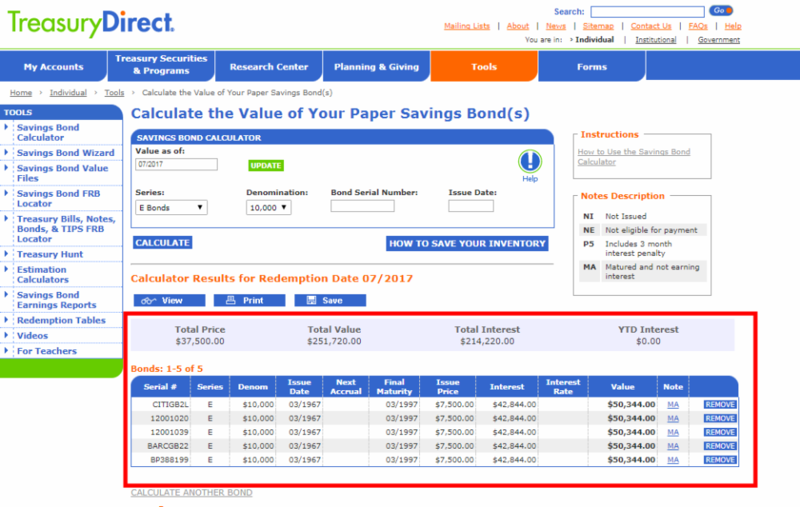 EE bonds run from 06/1980 to present. The account numbers/Birth certificate number/any other unique ref number that relates to you goes in the "Bond Serial Number"
Lastly the issue date, if dealing with Birth Certificates, will generally be your month and year of birth in the following format: 03/1963 if you are going to put NI Numbers/Council tax/court references/bailiff summons, then the date would be the month and year they were issued/sent. Have fun! Be careful with this guys, it's a lot of information. This has never been done this way before. We are the first. Enjoy and if you have questions, do get in touch - you can contact us via the homepage.